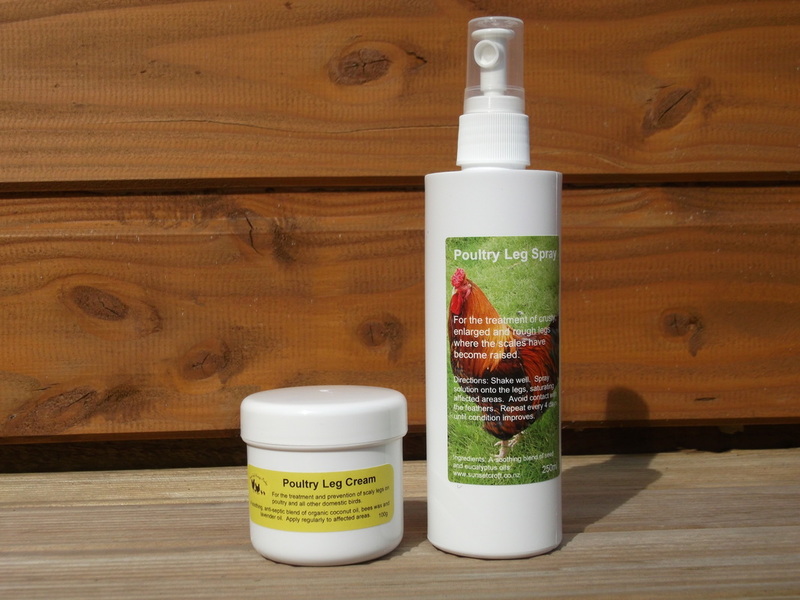 If your chicken's legs have become crusty and thickened by unsightly raised scales, she has Scaly Leg, caused by a mite which burrows under the scales around the feet and legs. This is extremely irritating to the chicken and very contagious and will spread through your flock via nest boxes and perches. Caught early, you can stop it in its tracks and prevent the mite damage from progressing. 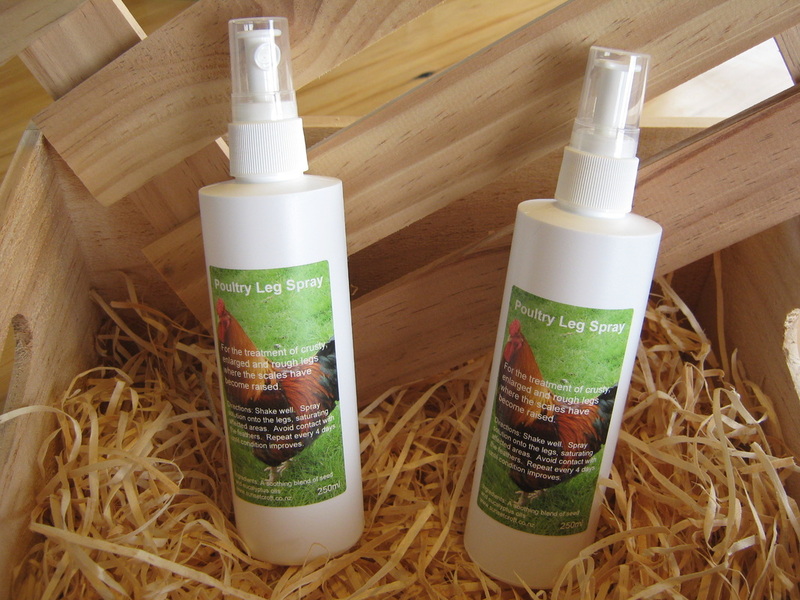 Spray the affected feet and legs with Poultry Leg Spray or apply our Poultry Leg Cream. This will suffocate the mite and enable the crusty scales to soften and fall off, revealing new, smooth scales beneath. A repeat application will be necessary in severe cases. You may find this easier to do in the evening, when the chickens have settled for the night and are easier to catch. 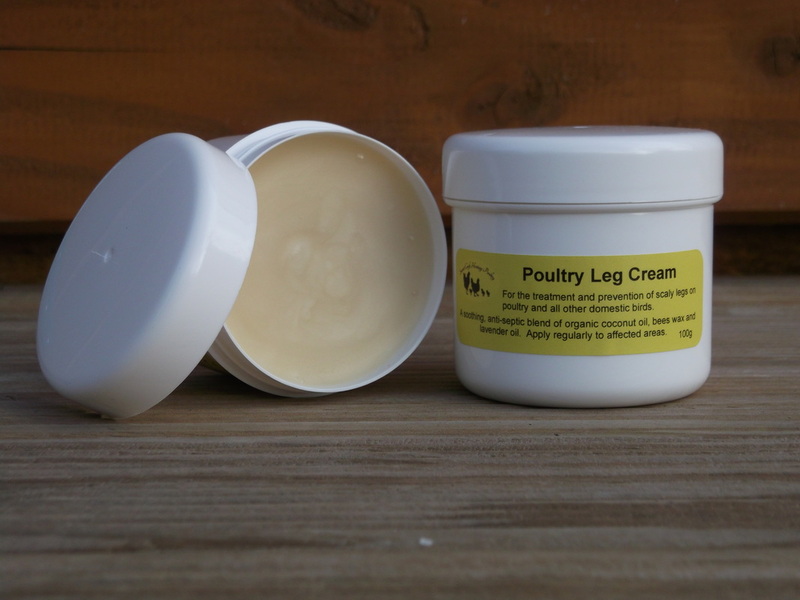 Always have this on hand in your poultry first aid kit.